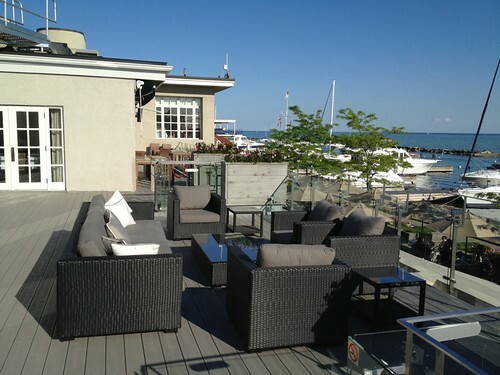 Yeah, I know, not much of a patio season so far. But let’s stay positive and summer may actually show up this year. 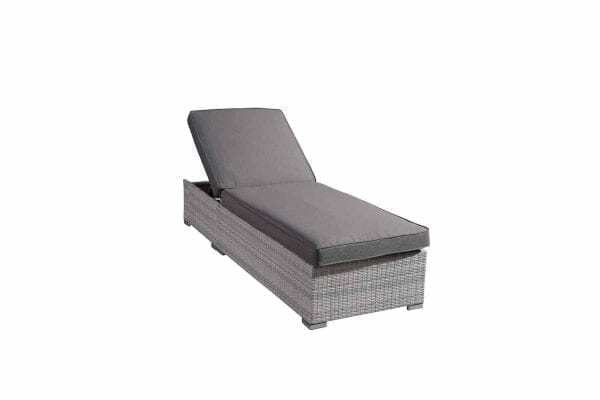 No matter what the weather, looking at outdoor furniture trends is always exciting. Restaurants, bars and cafes are the trend setters. In their quest to attract the crowds, they experiment with the definition of the entertainment area. They test concepts with different seating arrangements to find the best fit for their clientele and the space they have to offer. Most recently, we see a greater number of restaurants that offer more intimate areas for smaller groups. There seems to be a growing need for my-own-living-room-kind-of-feel spaces in a bar or lounge setting. We seem to want the comfort of our own sofa, where we can curl up, but at the same time have the opportunity to interact with other people over a drink. Some of us may also want to show off a new outfit or a cool new haircut, which surely can’t be accomplished sitting at home. 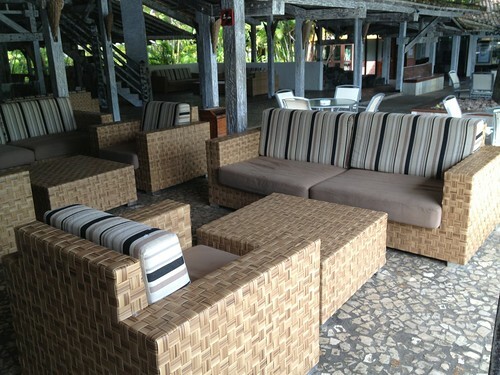 The photos show 2 different styles of all-weather wicker conversation sets. 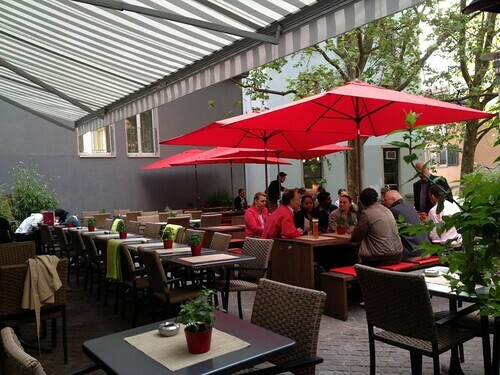 The materials are durable and low maintenance, making them a great choice for bars, cafes and restaurants. Thick cushions provide for the seating comfort for hours of lounging. Accent pillows enhance the homey feel. For new styles, a look to Europe is always interesting. Modern designs are often born there. An example is this concept here. Resin wicker dining chairs are coupled with steel tables. Easily configurable in many different ways, very versatile. Wicker is certainly not new, but is massively successful in European restaurants and lounges. The small tables are complemented by larger wood tables with benches. The extremely sleek design of outdoor table and bench holds enough space to accommodate a group of 8. Fostering communication, interaction, fun! Modern outdoor umbrellas round up the picture by giving the area a strong colourful accent.